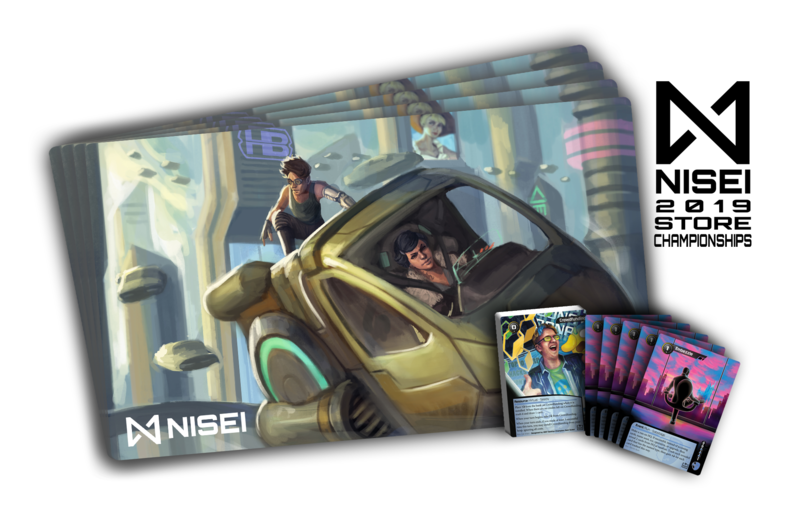 Dive deeper into the futuristic world of cyber crime, megacorporations, bioroids, and clones with this year's Netrunner Store Championship! Project NISEI has taken over support for the game this year. First place will receive a bye at a regional tournament, and there are plenty of other prizes to go around. We will play Swiss rounds based on attendance, followed by a cut to the top 4 or 8 as appropriate. This is a Sanctioned, Casual-tier event, which means players should have a strong grasp of the rules of the game but need not be experts. Decklists are not required. Top Four: Playmat featuring Kati Jones and Az. Additional prizes in the form of Gift Cards will be added to the prize pool if attendance exceeds 24 players.